The Association of African Universities (AAU) has provided a platform for research, reflection, consultation, debates, co-operation and collaboration on issues pertaining to higher education. IUCEA Facilitates networking among universities in East Africa, and with universities outside the region; provides a forum for discussion on a wide range of academic and other matters relating to higher education in East Africa; an facilitates maintenance of internationally comparable education standards in East Africa so as to promote the region’s competitiveness in higher education. The Southern African-Nordic Center is a partnership of higher education institutions from all the Nordic countries and southern Africa. Its primary aim is to promote multilateral research cooperation on matters of importance to the development of both regions. 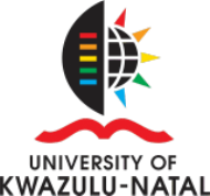 Higher Education South Africa (HESA) is the voice of South Africa’s university leadership. We represent 23 Vice-Chancellors of public universities. University World News is the first high-quality truly international newspaper and website, dedicated to providing such coverage. It is offering a weekly emailed newspaper plus access to a dedicated news website – free of charge. One of the issues is Africa Edition, which provides news on African higher education.